My wife has recently taken ownership of a 2018 Ka+. 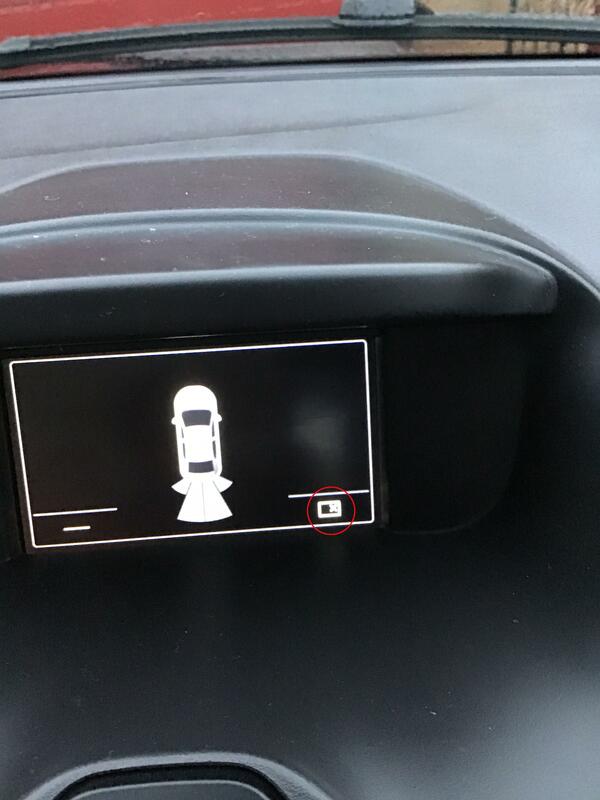 Yesterday she noticed that when she is reversing, there is what could be an error symbol showing in the reversing assist display. The symbol is a small box with a cross in it and appears at the bottom right of the display. Can anyone tell me what this is? I have attached a photo of the display.